Where’s All This Energy For The Attacks On Black Transgender Women? In this op-ed, Out Executive Editor Raquel Willis discusses how the disproportionate response to the Jussie Smollett attack illuminates the various ways that society values some lives more than others. It was February 2017 when I first heard about Chyna Gibson, a beloved stage performer who had been gunned down in her hometown of New Orleans. My stomach dropped, as it does every time I hear about another Black transgender woman being attacked or murdered. Over the next few weeks, I ravenously consumed every article I could find that humanized her (and there weren’t many). I learned that she was only a few years older than me and that she had performed at The Jungle, the first gay club that I had ever gone to in Atlanta. I read that she eventually moved to Northern California, just like I had nearly a year before, and that she had a mother that loved her. In her story — and its end — I saw myself. The despondency I felt when Gibson was murdered was similar to what I felt when news broke that Empire star Jussie Smollett had been assaulted early Tuesday morning. Though I was used to the Black LGBTQ+ community raising up these heinous acts, this time I witnessed the general public offering up their concern and desire for accountability and progress. It was encouraging to see deep discussion on how white supremacy especially threatens Black queer people. (Though I did notice a number of people and media outlets diminishing the fact that the incident was also steeped in homophobia.) But throughout the day, I was also reminded of all of the times that many of the same folks who were speaking out for Smollett had been silent when scores of our Black transgender sisters were attacked or murdered. As long as I’ve been an activist and community organizer, I’ve witnessed the disparity of concern that is placed on some people’s brushes with violence over others. When a cisgender Black person, typically a heterosexual man, is attacked or murdered, I can depend on the larger Black community to commiserate. I’ll see signs held with their names at marches, viral hashtags, mentions by public figures, and a demand for change to make conditions better for them. With Smollett, the privilege of celebrity also pulls stronger on the heartstrings of the community. If he weren’t a wealthy, famous, and attractive man, it’s highly doubtful that he would have become a trending topic. When Black trans women are brutalized, I have mostly come to expect silence from nearly every group that we’re part of. After we are diminished and marginalized in our lives, should we then be murdered, we can expect careless investigators and police officers releasing inaccurate names and genders and an endless justification for our deaths, suggesting we were ‘tricking’ our assailants or that we made bad life choices that placed us in a precarious situation. The hierarchy of whose lives actually matter is clear. There was no outpouring of social media posts when Dana Martin, a 31-year-old Black transgender woman was murdered earlier this month. 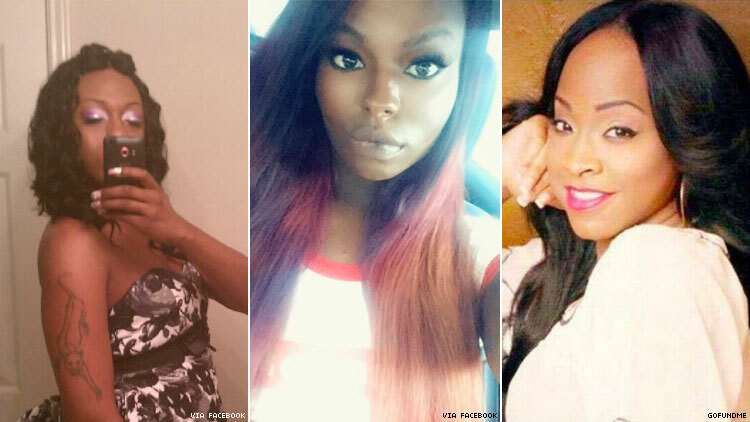 As more reports come out about Candice Elease Pinky, a Black trans woman who was chased with a gun and shot in broad daylight in Houston last week, I’m curious to see if, with this widespread concern for Black LGBTQ+ victims, her experience will be elevated as well. And what about the next inevitable attack on a Black trans woman? Will we continue to be erased and ignored from the various communities and movements that we’re apart of? Similarly, when I think of the LGBTQ+ community at-large, I think of the decades of inaction around the brutality that trans women of color have faced. Every day, I see large non-profit organizations and privileged white queer people invoke the brilliance of Marsha P. Johnson with no regard for the fact that she was allegedly murdered under circumstances similar to recent Black trans victims like Martin, who was found shot multiple times and left for dead. And if there does happen to be a response from groups or organizations, it’s simply the documenting and sharing of information about the attack — not a deployment of resources to support the Black trans organizers working on these issues every day. Many people find it difficult to see that violence is intersectional, and that we must analyze it with nuance, understanding that various oppressive systems create the conditions for a specific instance to occur. This is why we often see initiatives that focus on alleviating threats of violence for one specific, marginalized identity group at a time: white cisgender women, white LGBTQ+ people, Black cishet men, and on and on. So when a Black transgender woman like Gibson is murdered, people can’t grasp that she was not only murdered for her gender, but also her race, her sexuality, and her socioeconomic status. I saw myself in Gibson’s experience because she was also a Black trans woman. But we shouldn't have to have the exact same identities to be concerned about others. A major problem with the cisgender public is that there's a reluctance to truly comprehend our experiences even when we're actually living and breathing. If a Black trans victim’s story does gain some traction, they are inevitably reduced to just a number or a statistic, rather than acknowledged as a human being with loved ones and dreams that they left behind. To adapt the words of James Baldwin: The reality of being a Black transgender woman in this country is to be in mourning almost all of the time. I don’t have the luxury of choosing which group I care about each day. I ache for the Michael Browns, Tamir Rices, Rekia Boyds, and the Gemmel Moores, but I also ache for the Mesha Caldwells, Keanna Mattels, and Sasha Walls. It’s not uncommon for me to read posts from other Black trans women about the difficulty of making it through the days when we learn that another one of our sisters was slain. We check in with each other via text or phone call, just trying to feel less alone in our mourning because we know that transmisogyny renders our experiences as less than others. The forces against all marginalized people are overwhelming, and doesn’t seem to be letting up in this political climate of brazen bigotry. Just as we call out the white supremacists or the homophobes, we need to call out the transmisogynists and hold them accountable for their particular brand of terrorism. If we can name that the hateful rhetoric from the current president, his administration, and other conservative politicians has contributed to a culture where the Charleston shooting, the events of Charlottesville, or even this attack on Smollett can happen, let's keep the same energy for naming that the anti-trans rhetoric espoused every day — by public figures and the average person — plays a part in a rampant lack of consideration for trans lives.